"Tree Ownership Club" - that's how we call the bundle of rights, what allows to buy and own the Tree in accordance to the law, including various additional services, most of them exclusive. To stay in unique place and make your own chocolate - among the first of them. 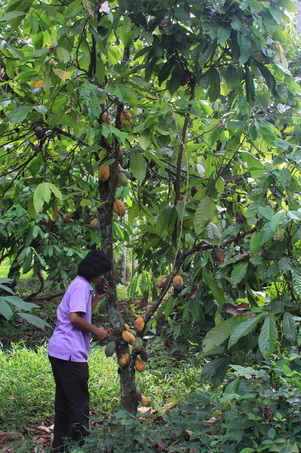 Tarnsai is a small cocoa farm in Nakhon SI Thammarat, area here are the gem of South East Asia. As a first who supports the idea, the Kalos Fund with the resort's owners alloted 36 trees for sale to the new owners. * Your tree not require your care - skillful hands will do it for you - using their knowledge and experience. ​Here we posting only main points - you can see all detailed information and reserve your tree at our tree ownership website. Our offer and idea behind it is extremely simple - buy the tree and and we will take care about all the rest - from harvesting to delivery. Usual way to own cacao tree is not even going to other extreme - its just impossible. To search and buy the land, then to plant and cultivate the tree with care. It takes long time, labor-intensive, require big and continuous expenses. 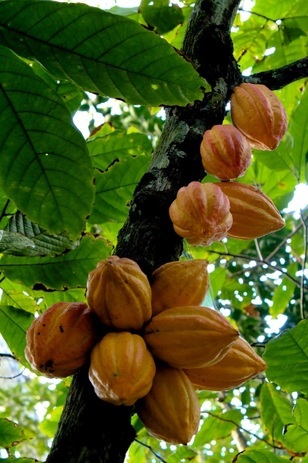 All the cocoa pods from your tree belongs to you. Farm stuff provide the services, we supporting with how-to-use ideas. First is a ﻿﻿delicious chocolate, of course: from very classic to our own recipes - our wish to make every of the tree owners creating it themselves. 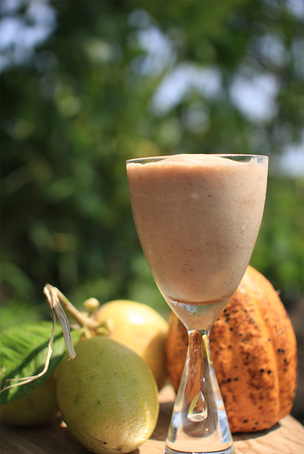 Then drinks: cold shakes from fresh Cabosse flesh; hot coffee-styled - with cream or milk; Add to it organic cosmetics, decor-items and souvenirs - its not the all what you can get from one cacao tree! Its true that Cocoa is very delicate culture. Trees planting is Ok - mature trees doesn't need any special care, But each step of harvesting, drying and keeping of cocoa beans require knowledge and discipline - the weather here changes quickly, same as humidity. Luckily, personnel of cocoa farm - mostly farm family members - doing all of that already. We added packaging and delivery - and now Tree Owners Club can send you fresh fruits or dried cocoa beans from your tree right to your home, almost worldwide, using various postal & delivery options. Cocoa farm & bungalows located on river Klay, Nakhon Si Thammarat province, Thailand. River takes beginning near the Krung Ching Waterfall - largest in south Thailand, and flows into the sea in a wonderful sunrise beach - 15 minutes drive from the farm. First of all, its a perfect place for ECO- organic farming - I use both of words because see them now together more often. Due to the river on a side and mountains park behind there are not so dry & hot as on all the areas closer to sea. Then, relax on a water - rivers, beaches and waterfalls. Area is not spoiled with mass travel and over-dozed of tourists attention. Due to the few national parks there are beautiful sky and fresh air every day, all year round. Next, all the additional services provided by farm owners family - car rent, tickets, tours and info-guide to the area. Sea nearby is the kilometers of sandy beaches, mostly wild, but with few resorts, beach restaurants and pubs with live music. Waterfalls: nearest waterfall is Sunanta, located in 5 km from the farm and resort. Totally there are about 15 waterfalls qith clear cool water in a 1-hour distance drive. Shopping: authentic traditional local handcraft and art pieces, antique shops and silver street... Also there are big markets such as "Tesco Lotus" and "Big C", with many 24/7 small shops - like "7/11" or "Mini Bic-C". The area is full of fruits - some of them are seasonal, some - all year round. Seasonal: mangusteens, rambutans, santols, mango, dragon fruits and durian are among well-known. All year: pineapples, papaya, watermelon, bananas, mandarins. ​Also there are many amazing funny-looking fruits which doesn't has an English names yet, or its too rare to find it. How to reach: farm located in less than hour drive from Nakhon SI Thammarat airport (taxi and car rent available at arrival at the airport, for very reasonable prices - taxi = 20$/car), easy to reach the place also by buses, boat or train from Bangkok.